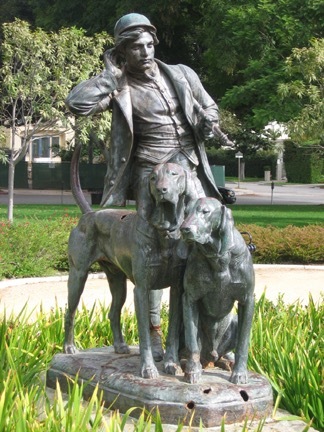 How did a French sculpture of a hunter and his dogs end up in Beverly Hills, California, and why is it the logo of the Kennel Club of Beverly Hills? As with everything here in the land of dreams, there’s a story there. The sculptor is Henri Alfred Jacquemart (1825-1896), a French artist who specialized in animal works. Another version is at the Botanic Gardens in Sydney, Australia. A young man from a Beverly Hills family went off to war a century ago. Tragically, he died in the World War I battle of Chateau-Thierry, which took place along the Marne River near a hunting preserve called Belleau Wood. In peaceful times, it was a favorite place of bird hunters and their gundogs. Years later, the soldier’s parents—the W. D. Longyears—traveled to France and visited the place where their son died. One of the townspeople showed them a statue of a hunter and his two dogs that had stood in the town square until its base had been destroyed in the battle. One of the dogs had bullet holes in its back. Touched, the couple purchased the statue and took it back to Beverly Hills, where they placed it on their front lawn as a memorial to their son. When they became elderly and sold their home, the couple donated the statue to the city, asking that it be placed in a park. 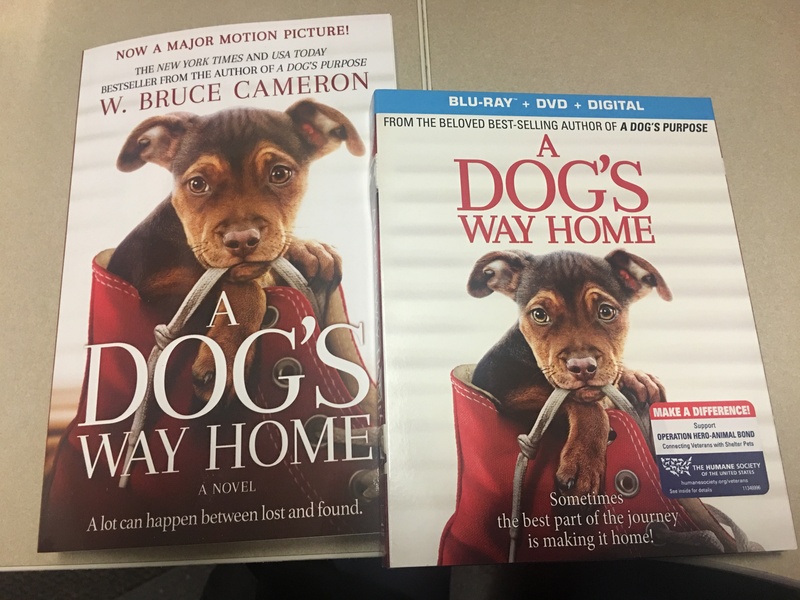 It might have remained in Beverly Gardens Park with few who knew its story, but a merger of three kennel clubs brought it to prominence. In 1965, the Los Angeles Kennel Club, Harbor Kennel Club and Riviera Kennel Club decided to join forces and became the Kennel Club of Beverly Hills. They wanted their logo to have a relationship to the city, and a member’s son, a photographer, suggested the statue. The city gave its permission, and the statue—a memorial to a fallen soldier—has represented the Kennel Club of Beverly Hills ever since.